Grand Valley State University students have the opportunity to look into past examples of student activism by visiting "Voices of GVSU: Activism through the Decades." Throughout the history of Grand Valley State University, students have engaged in the constantly changing political and social climate in the world surrounding them. 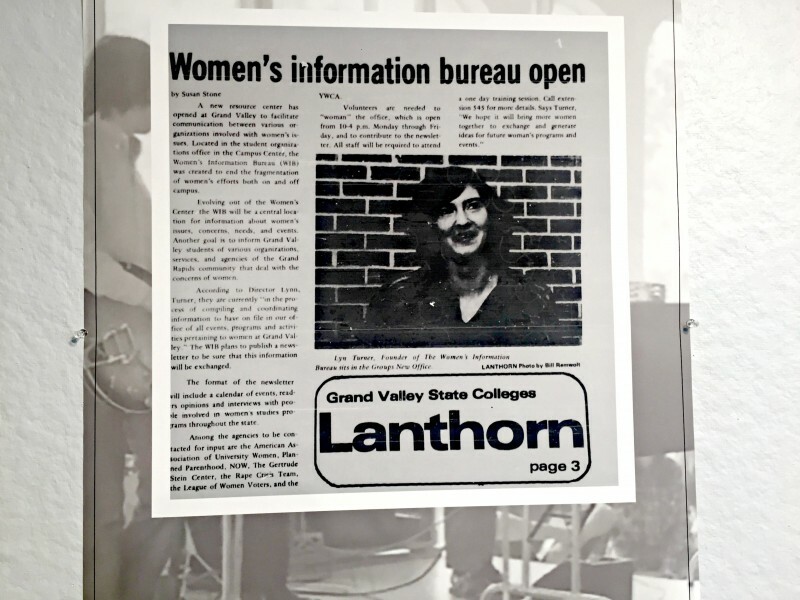 Students today have the opportunity to learn about these past events by visiting "Voices of GVSU: Activism through the Decades," an on-campus exhibit that aims to bring this history to light. The exhibit, which is sponsored by GVSU's Kutsche Office of Local History (KOLH), Special Collections and Archives and the Office of Undergraduate Research and Scholarship, went on display on February 4 in the Mary Idema Pew Library Exhibition Space on the Allendale campus, and will be in place until February 22. 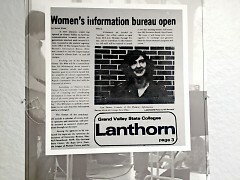 Kimberly McKee, the director of the KOLH, said the exhibit covers cases of student activism at GVSU from the founding of the university in 1960 to 1979 and includes research from several past student publications, along with the current student-run newspaper, The Lanthorn. "We focused on The Lanthorn because we wanted to focus on how students saw their peers," McKee said. 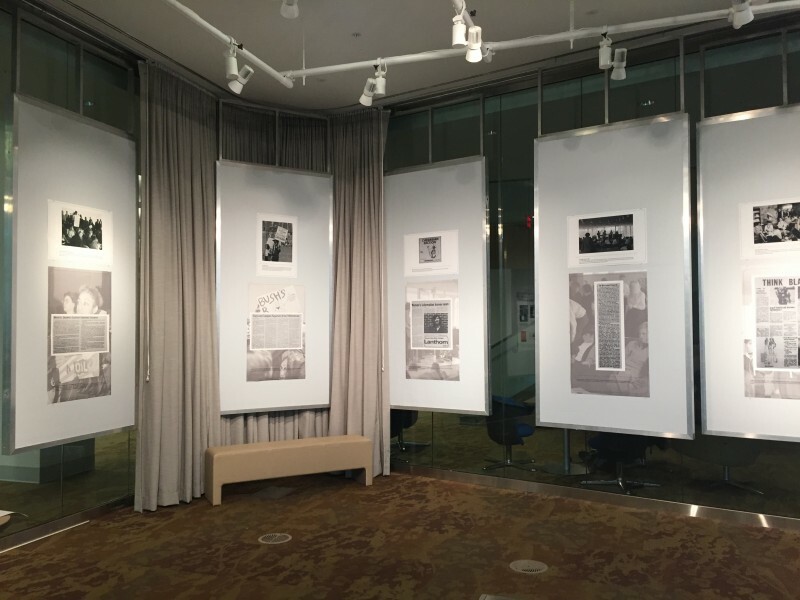 For example, the exhibit includes images from articles explaining student protests against U.S. involvement in the Vietnam War as well as articles covering the celebration of historically marginalized cultures. 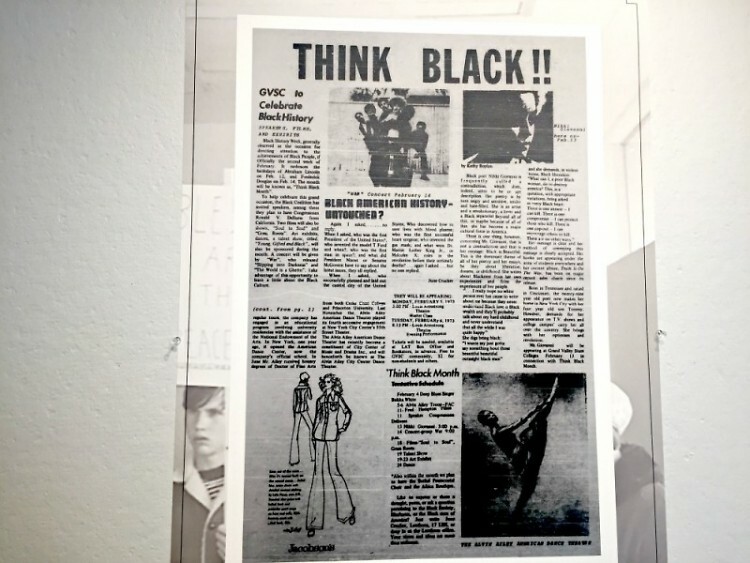 While this particular exhibit has been on display for most of the month, it is part of a larger project that also seeks to explain and contextualize student activism of the past for the students of today, titled "Histories of Student Activism at GVSU," which has been in progress since the fall of 2016. "I'm really hoping that students recognize that activism isn't just happening today," said McKee about the inspiration for this project. Working with McKee on the project is GVSU undergraduate student, Andrew Collier, who has been completing the bulk of the research for the exhibit and the "Histories of Student Activism at GVSU" project since its start. Collier explained that activism is a wide reaching concept in its definition, but that it can include anything from writing a controversial article to participating in a protest or demonstration. "While we don't necessarily think of those two things as being activism, it is because it's when people are taking a stand, voicing their opinions, saying what they believe in and standing by that," Collier said. He added that while he did not expect to see examples of student activism happening around him in response to the current political atmosphere when he started this project, it is interesting to him to realize how important it can be to see what students were fighting against in the past compared to what they are fighting for today. "Students have always had a voice, and their voice has always been important," Collier said. McKee said that any students who are interested in becoming involved with the "Histories of Student Activism at GVSU" project or who have any questions about the events can contact the KOLH. "Become informed, if there's something that you don't understand or something that you think is really important, learn all you can learn about it," said Collier to the students who are considering becoming more involved. Collier explained that he hopes students who are interested in this type of work will take over the research he has been dedicated to for several months.